This good news confirms our first impressions. After an initial evaluation of the data by appellation by the Confédération des Appellations et des Vignerons de Bourgogne (CAVB), the volume harvested in 2017 was around 1.5 million hectoliters* (excluding VCIs; and including Crémant de Bourgogne reserves). The figure is up 23% on 2016 and also up 10% on the five-year average, and 5% on the 10-year figure. Red wines have partially caught up the lag that has accumulated over the past few years, with 474,000 hectoliters harvested, 41% more than in 2016. 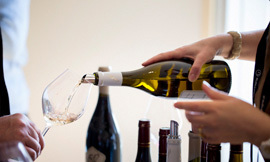 White wines were up 20.5% with 880,000 hectoliters. Only the Crémant de Bourgogne appellation experienced a negative result, down 4% on the previous year. In terms of appellation families, the red Village AOCs from the Côte de Beaune and Côte de Nuits and Régionale Bourgogne appellations in particular demonstrated a big jump in terms of harvest volumes compared to the five-year average. Land under vine continued to grow steadily, with 29,931 hectares producing grapes, up 1.17% in 2017 compared to 2016. Yields were 55.46 hectoliters per hectare on average, reclaiming the 14 hectoliters per hectare lost at the 2016 harvest, with some big disparities once again, depending on the sector. * These harvest figures do not take into account the 50,000 hectoliters of VCI that can be sold as part of this vintage. Bourgogne wines showing good results over the first 11 months of 2017, with a new record for revenue. Hong Kong is a mature wine market, the world’s seventh-largest importer in terms of revenue. French wines made up 59.3% of the overall import revenue for the first 11 months of 2017. Revenue from Bourgogne wines rose by 17.8% for the first 11 months of 2017 (January to November), reaching 44.6 million euros. This set a new record and comes in the wake of strong growth in the previous two years. 2017 thus confirmed the high perceived value of Bourgogne wines on Hong Kong distribution circuits. Volumes slipped back slightly, (down 4.2% over the first 11 months of 2016) as the impact of the small 2016 harvest started to be felt. Another phenomenon to note is the almost perfect balance of imports of white wines (49.5%) and reds (50%), while Asia has traditionally been a market mostly oriented towards red wines. Crémant de Bourgogne, which is still very under-represented, accounting for just 0.5% of imports, is beginning to make a name for itself. The 14th edition of the Grands Jours de Bourgogne took place from 12 to 16 March. 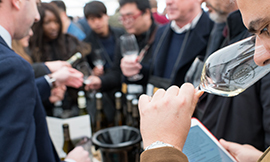 During the event, Bourgogne welcomed 2,311 wine industry professionals, of which 1,171 were first-time attendees, giving a 51% renewal rate among visitors. The 14 tastings proposed attracted a total of 10,114 admissions. Wine buyers and market influencers came from around the world to discover the 2016 vintage. Some 57% of attendees were foreign visitors, representing 50 countries. The five leading nationalities were American, Italian, Belgian, Chinese and German. The remaining 43% of visitors were French. Concerning professional activities, 93% of visitors were buyers, and 7% journalists. 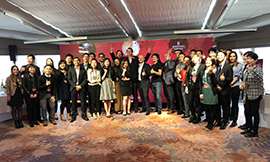 The main categories were: Importers (30%), specialist wine store representatives (21%), restaurateurs and sales agents (9%), and sommeliers (7%). The event was widely covered on social media and in the press. At the 32nd edition of the Chablis Wine Competition in January, 24 wines won medals, across the four appellations of Petit Chablis, Chablis, Chablis Premier Cru, and Chablis Grand Cru. This competition is unique in that winegrowers do not participate in the judging, in order to guarantee total objectivity. The 86 jurors from this edition, under the presidency of German journalist Stefanie Köhler, include journalists, restaurateurs, sommeliers, traders, and amateur wine buffs. The wine is judged in two phases. The wines are first tasted by the entire jury. Those samples that obtain the best notes then go before a super-jury which alone awards the medals; gold, silver, and bronze. The medal-winning wines are used by the Chablis arm of the BIVB during operations in France and abroad, and act as ambassadors for Chablis wines for the period of one year. 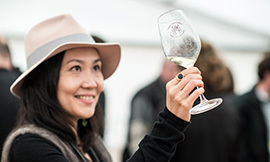 Some 272 samples are presented, with Petit Chablis, Chablis, and Chablis Premier Cru wines from the 2016 vintage and Chablis Grand Cru wines from 2015, representing 69 cellars, estates, and négociants. Bourgogne Week in Tokyo: An event dedicated to the promotion of Bourgogne wines – save the date and register! The dates for the upcoming Bourgogne Week in Tokyo have just been announced: 4 June to 8 June 2018. For this first edition, importers, specialist wine stores, restaurants, wine bars are invited to organize events such as tastings, winemakers’ dinner, in-store and online promotions, with Bourgogne wines in the spotlight. A major promotional campaign orchestrated by the BIVB will give visibility to each event in the press and on social media. - A Masterclass exclusively dedicated to the trade which will lead by Jean-Pierre Renard, expert on the wines from the region. - An exceptional Tasting where importers ( some of them with their Bourgogne wines supplier) are invited to present their selection of Bourgogne wines to wine retailers, sommeliers, distributors, the press, and soon. Whether you wish to be an organizer or a participant, save the dates in your diary for this exceptional week dedicated to Bourgogne wines. Don't miss out on any upcoming industry events involving Bourgogne wines and their producers. Bourgogne Wines on Tour masterclass hosted by Michelle Cherruti-Kowal, MW, on the theme of lesser-known and accessible appellations (for market influencers). Masterclass dedicated to Sommeliers and hosted by Michel Jamais, Bourgogne Ambassador. Bourgogne Wines Club hosted by Xavier Rousset, MS. Masterclasses dedicated to Sommeliers. 2 themes will be presented « exploration of lesser-known appellations around a classic Village » for the 23 april and 18 june and « Mâcon + name of the commune » on September, 10th. Masterclass organized by the UPVM and BIVB, hosted by Kris Van de Sompel, Bourgogne Wine Ambassador on discovering the AOC Mâcon + the name of the Village, followed by a free tasting of 25 lesser-known Bourgogne appellations. Top influencers from New York will be invited for an « échappée en Bourgogne » built as an interactive program, it will be a great opportunity to keep update with the latest news from the region and enjoy an exceptional food and wine pairing lunch (by invitation only). Master class hosted by Sybille Troubleyn, Bourgogne Wine Ambassador, on the theme of Petit Chablis and Chablis Village appellations (only for wine store owners, sommeliers, restaurateurs, importers, buyers for major retailers, journalists, and market influencers). Chablis Escape Room for the press. 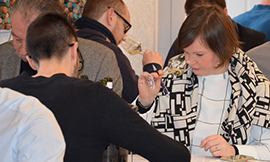 Chablis Wines on Tour: Free Masterclass hosted by Michelle Cherruti-Kowal, MW, on the theme of Petit Chablis and Chablis appellations (for the trade and press only). Training session at Vinexpo on the theme of the Climats of the Bourgogne winegrowing region. Hosted by Yang Lu, MS and Rebecca Leung, this masterclass is dedicated to the Trade. Masterclass in partnership with the UPVM avec Meininger about the AOC Mâcon + name of the village. Promotion of Chablis wines in partnership with high class retail shops all through June. Bourgogne Week: A range of Bourgogne wine events hosted by importers, wine-store owners, and restaurants in the city. The BIVB will organize a Chablis event (5th, by invitation only), a trade tasting and a Master class, 9th (by invitation only). Masterclass dedicated to the Trade and hosted by Jean-Pierre Renard, Educator in Bourgogne. "Les Instants Chablis": Master class and free tasting of a range of Chablis wines - from Petit Chablis up to Chablis Grand Cru (only for the press and the trade). Masterclass hosted by Dorian TANG, Bourgogne Wine Ambassador on the theme of the discovery of a selection the Village AOCs. Chablis wines will participate to the International Cool Climate Chardonnay Celebration with Masterclasses and tasting for the Trade and the press. Press workshop on Bourgogne wines and their Climats.